I get it. The allure of MIREIO is impressive. The colors and the bright lights yet calculated tones are there. Everything was meticulously planned and executed. 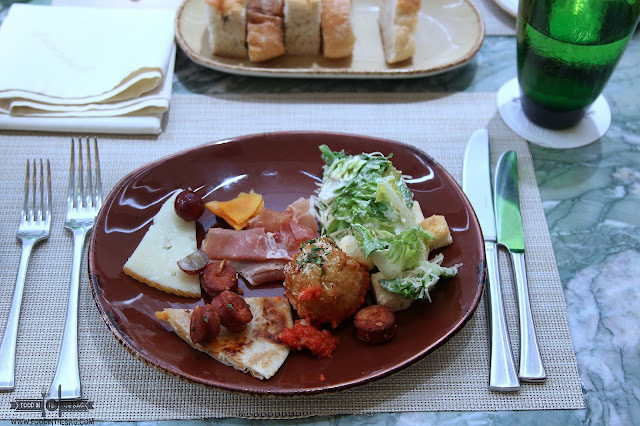 The food is delicious as it is simple (Mireio: More than just fine french dining.). Drinks are always never an issue at RAFLLES more so when in MIREIO. 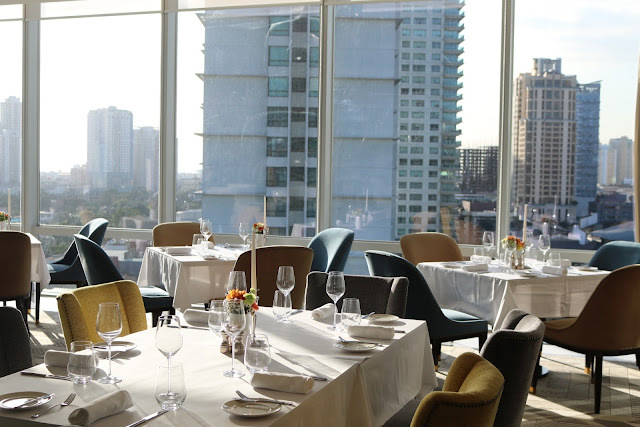 One particular spot that is a must go to though would be MIREIO TERRACES. Years in the making, it became into one of the hottest sunset bars in the metro. 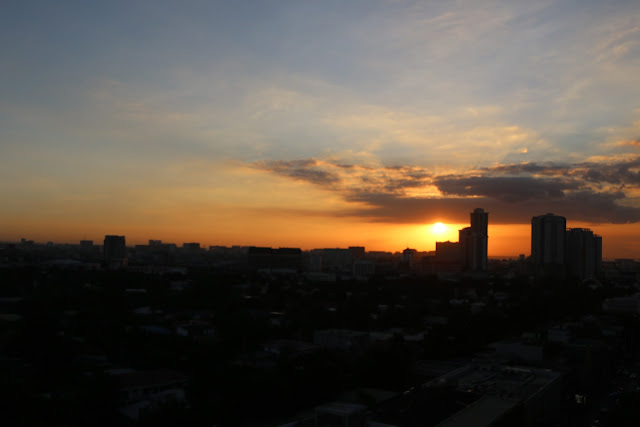 Located just one floor above the main dining area, the TERRACE is where your MAKATI SUNSET sessions should be begin. Come at a little past 5pm and wait for the sun to set. You get to see the golden hour. Lights turn and change from left to right. On one side, you feel how the sun says "see you in a few". Then, the clouds follow it as if begging it not to go. While waiting for this to occur, one could enjoy some refreshing drinks. 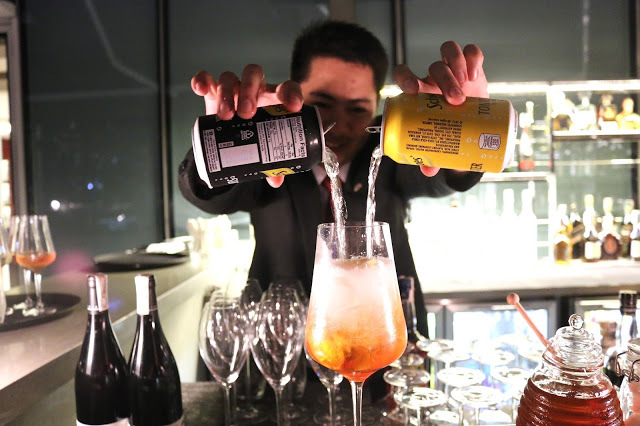 Spritz would definitely delight anyone that wants something refreshing and sparkling. A mixture of wine and some carbonated drinks, the added flavor from a particular mix would keep you hydrated and happy. Liquor has been known as a gift from above and could be an enjoyment on its own. 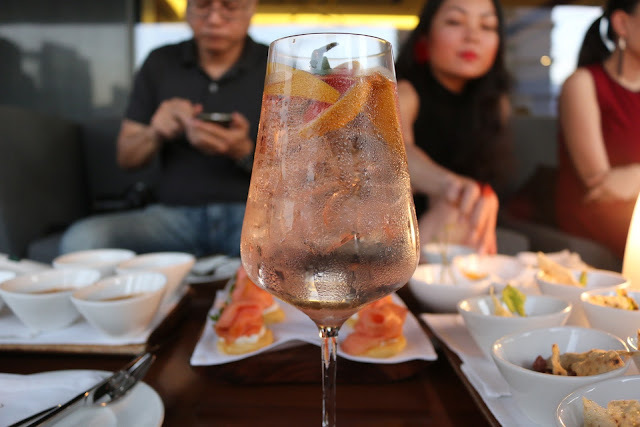 At MIREIO, it's always fun to waste the time away with one hand holding a drink. It lets you feel as if there is no tomorrow worth living without the experience to enjoy. Since MIREIO is of French origin, cocktails were created and named in relation to it. The 1947 was inspired when the PHILIPPINES and FRANCE agreed to start having a bilateral relationship. Something close to a agreement between brothers, you get a sense of patriotism from this drink. IT says blood compact with the way it is presented. Dip the container to release the flavors from the berries. Once done, enjoy it to your hearts content. 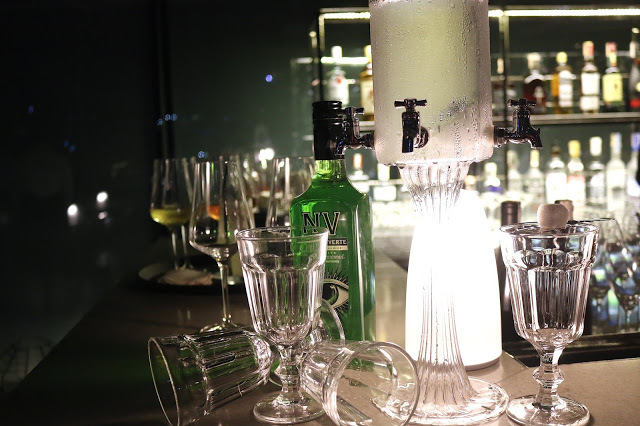 Another must is the ABSINTHE. 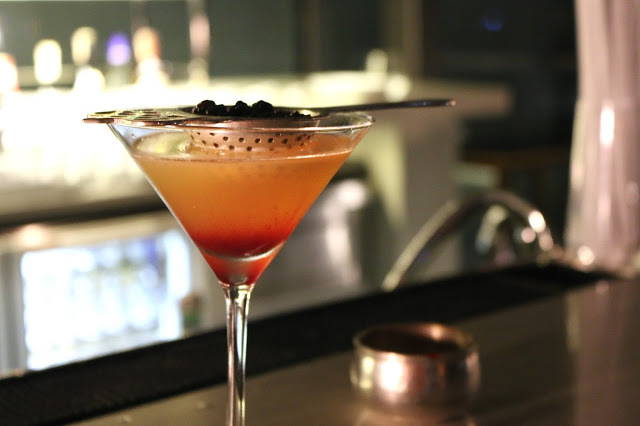 Known as a crazy drink, guests need not worry as it became illegal to have those original versions. This one is a more tamed drink. With a licorice flavor, one might compare it to a gum or a toothpaste. Needless to say, it's an acquired taste. Properly mixed with water and sugar, it gives off a different concoction that is mellow downed for the general public. Food is an integral part of any event. At MIREIO TERRACE, they serve some fine dishes that is easily some of the best in the area. 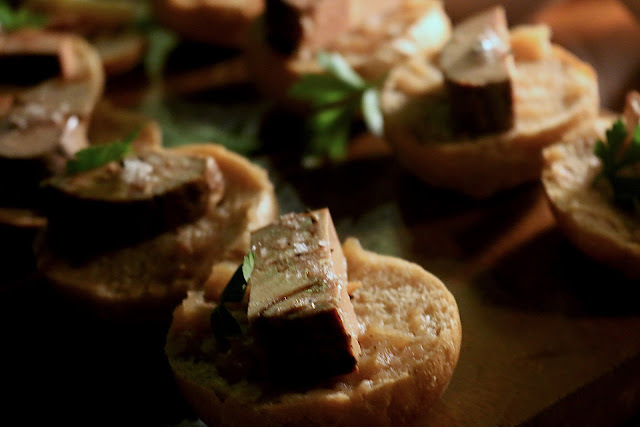 From a Roast Duck Foie Gras on tosted country bread to some gazpacho and even some smoked salmon blinis, you won't go wrong with any of them. For big gorups, PLANCHES are in order. Some might go for a bread and a variety of dips that include some tapenade and even anchovies. Wine drinkers might want to go for the Cheese Platter. A selection of exquisite cheese from all over. 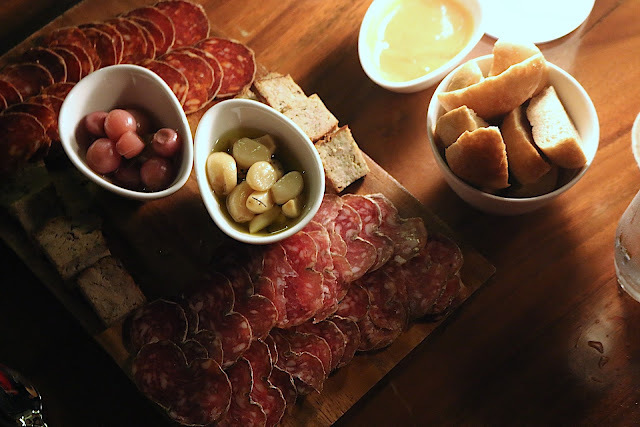 For meat lovers though, the FRENCH COLD CUTS and TERRINE PLATTER is a must. Charcuteries et terrines as the the French calls it is something out of a dream. Freshly baked bread accompanies a sea of meat. Just pure orgasmic. 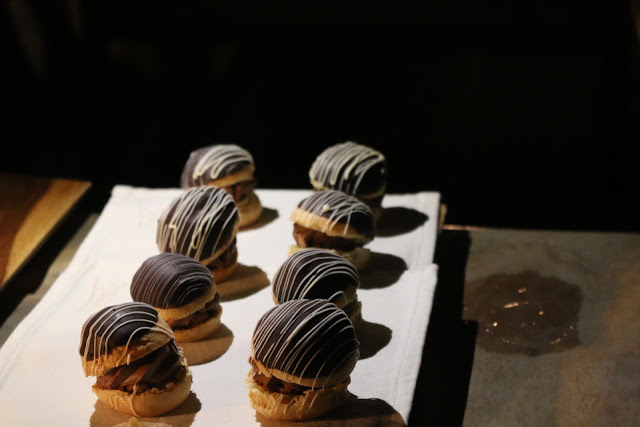 To end the night, always go for these scrumptious ball looking desserts. Plain looking as they are, there is a big difference in the taste however. The fillings are not your ordinary chocolate based cream. It is mixed with some sort of crunchy delight that would make you crave for more. Something oddly familiar but delicious none the less. 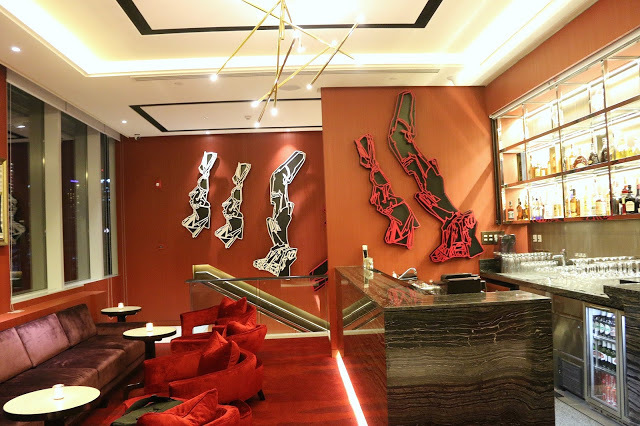 Drinks are never overrated at MIREIO TERRACE. That's one of the reasons why people live, laugh and have fun. 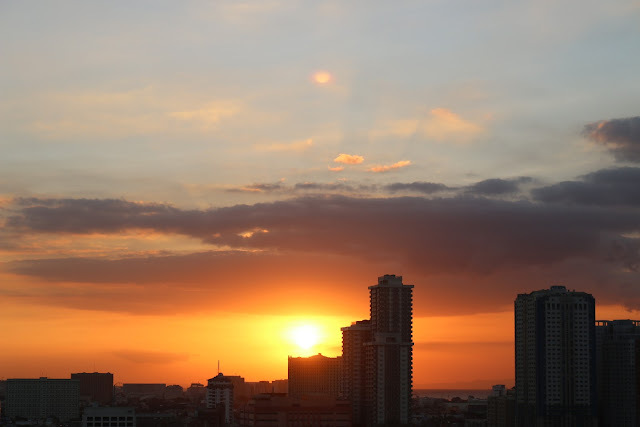 With friends and loved ones, MIREIO TERRACE is the place to relax and watch the sunset whenever in Makati. You can never go wrong with RAFFLES. Congratulations Raffles on your 4th anniversary. 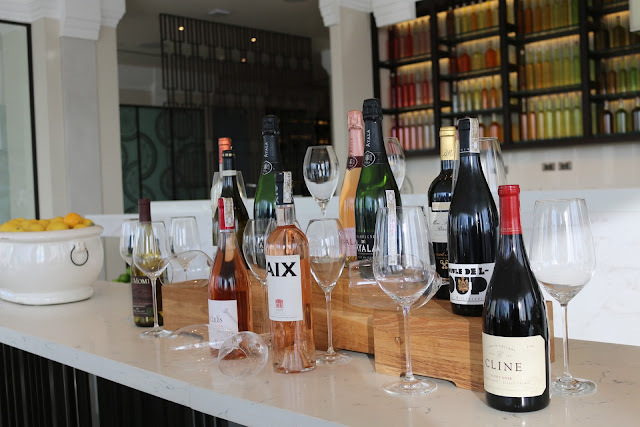 Mireio: More than just French Cuisine.